My employee Kourtney Sanchez is facing health and financial challenges with medical expenses for her recently born daughter Evelynn Leigh Sanchez. 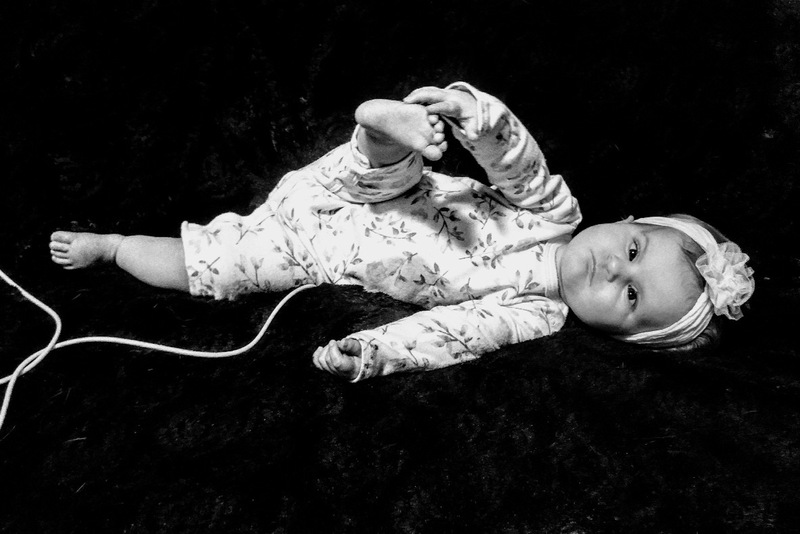 When Kourtney was pregnant, she was told that her baby had only one artery in her umbilical cord, and that she was not growing at a normal rate. Her doctor decided to take the baby early in an effort to prevent serious complications. 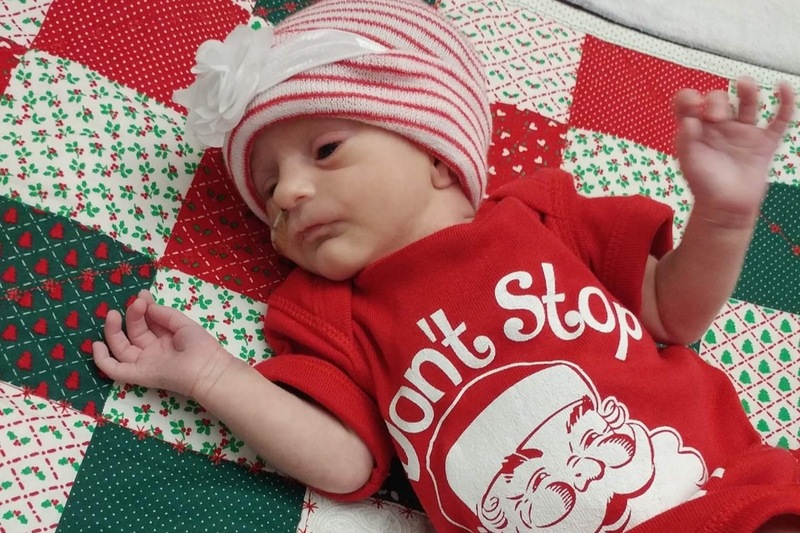 Evelyn was born via C-section at 37 weeks, weighing just 4 lbs. and 13 oz. It was soon discovered that she has a chromosome disorder, which has since created numerous medical issues. She was in neonatal ICU for 3 weeks after birth and has had many hospital stays since she was born in December 2017. She has had to undergo multiple MRI’s, CT scans, blood draws, and spinal taps. Currently, Evelynn is malnourished, and is unable to coo, cry, or crawl. She cannot eat enough on her own so she has a G-tube to feed her, but her body weight is well below average for a child her age. In addition to her slow development and inability to eat and hold food, she has been diagnosed with congenital heart disease, which may require surgery in the future. She has seen almost every pediatric specialty and continues to go through these health problems with no end in sight. She had to have an opening to her urinary bladder through her skin to allow urine to pass since she was having trouble voiding which was causing backup into her kidneys. She has congenital retrognathism (recessed jaw), which is causing sleep apnea, also being addressed. Along with all of this, Kourtney and her husband have two other young children that they are raising along with working full time to try and cover medical expenses. Kourtney is an extremely compassionate, caring soul and the burden that she is under is tremendous, yet she is strong and an excellent advocate for her baby girl. I felt helpless watching her go through all the stress of finding out that her baby had significant medical challenges and, once she was born, stressing about the mounting hospital and medical bills. So I decided to make this appeal to try and help her. Hello everyone, and thank you again for your donations. Here is an update per Kourtney; Evelynn is 14 months and 15 lbs. She can roll over on her tummy but gets her arms stuck under her. She likes to be held now and sit in her bouncer or bumbo, however, she tires very easily. She has 1 tooth. She loves grabbing her feet. 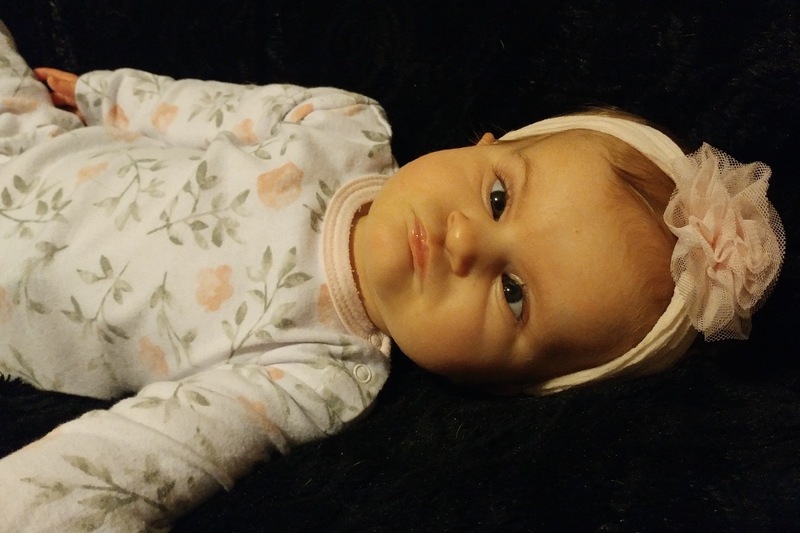 Evelynn still does not cry or vocalize like an average child her age but will giggle and pout to show feelings. Evelynn does not take much by mouth, maybe 2-5mLs of juice at a time. She likes the flavors of new things but will quickly turn her head if she disapproves. Evelynn receives all meals via g-tube and she is still on added calories to boost growth. Evelynn does not bare weight on her legs so she will be measured for a standing frame at the end of the month. Evelynn cannot sit without assistance. She does not crawl or pull herself as a child would do at her age. She loves her brothers and will turn to look for them when they walk away. Evelynn will hold toys in her hands and is curious with new toys around her. Evelynn loves listening to you sing. Although she doesn't show alot of emotion or excitement, you can see the wheels moving in her head about new things or people. Evelynn still sees alot of specialists but as of right now, fingers crossed, she is doing really well. Our biggest concern is getting more weight on her. We applied for financial assistance but were denied now. We are applying for buy in Medicaid as a secondary insurance for her to help with medical bills.